A Life in the Day of a Professional Organizer – Sharing intimate stories of clients and herself, while pursuing the mission of clearing the planet one closet at a time. It felt right, and justifiably romantic. So I left my family, friends, and work, and took off. After a lifetime of experience in people’s outer environments and dealing with their stuff, I found the perfect subject to write about; my passion for “feel good” spaces and their influence people’s internal landscapes. Sharing stories of how these physical transformations have changed my client’s lives has been a life reshaping adventure for me as well. The journey I made to accomplish this goal was as much a part of the book as my career in space planning. 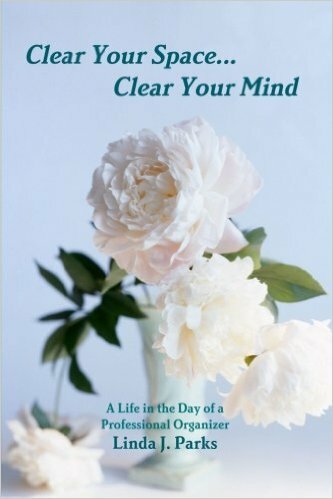 So “Clear Your Space…Clear Your Mind,” is two-fold; an adventure through space, to transform, inspire, and soothe, and a reminder to follow one’s dream.